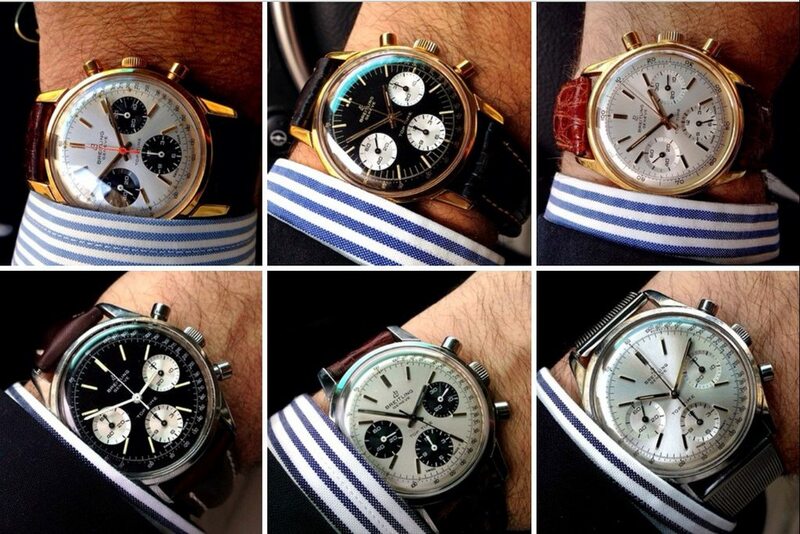 The Breitling Watch Source Forums • View topic - Hello to all. Post subject: Hello to all. I found myself more interested in that than the posh dress watches. A few "facts" I have learnt, quite possibly incorrectly. All the 2002 have monocoque cases? Early had a Venus movement (some sources say 178 others 188), but later this was a Valjeux (?) which was the same thing under a new name? 2001 are very similar but with snap on back? So any advice of where to find a genuine watch to start my collection would be appreciated. I prefer the single colour dials but others would be of interest to start a collection. Post subject: Re: Hello to all. "All the 2002 have monocoque cases? " the 2002 cases were manufactured by EPSA Piquerez, the company best known for theior "Super Compressor" dive watch cases - only the first variation was (1964 serials) were monocoque, i.e. manufactured from a single piece of stainless stell, later versions were "compressor" casebacks. "Early had a Venus movement (some sources say 178 others 188), but later this was a Valjeux (?) which was the same thing under a new name?" if we are talking about the 2002, this never had a Venus 178 (or 175, which would be the column wheel version without an hour counter), all ref. 2002 had lever chrono movements, starting with the Venus cal. 188 from 1964 to late 1966; after Venus SA was taken over by Valjoux in 1966 the same movements were then marked Valjoux R7730. From 1969 onwards these were replaced by the new "mass market" caliber Valjoux R7733. most, but not all of these later pieces are marked 2002-33. Mk2 ref. 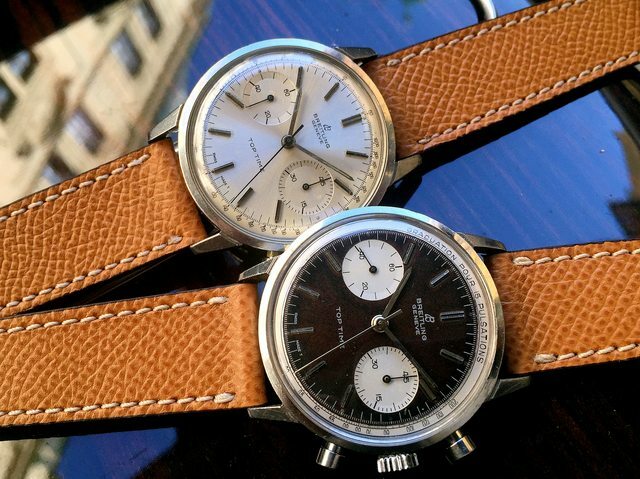 2002 have wider hands & "full" dials, while the Mk1 uses a dial insert, with tachy, decimal or pulsometer scales, only Mk2 were available as "true panda", i.e black subials on a silverwhite dial. here are the two Mk2 variations, not my watches, but (previously?) owned by member "Dracha", you could contact Rene by pm and see if he still has those for sale ? "There was a Mk1 with lugs more like a Omega Connie, the Mk 2 had smaller lugs with a smaller strap width? (Seems hardly worth the effort.)" no visible differences in lug design of the Mk1 & MK2 on the 2002, the also use the same lug width, only the 810 had these visibly different executions. "810 have 3 minor dials (like a speedie)"
"So any advice of where to find a genuine watch to start my collection would be appreciated." 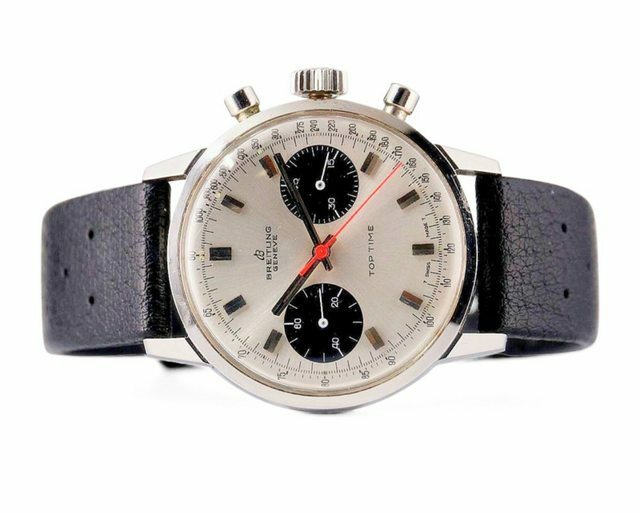 ebay, auction houses, chrono24, dealers - and ask here before you purchase ! Last edited by WatchFred on Mon Oct 02, 2017 2:54 am, edited 1 time in total. if we are talking about the 2002, this never had a Venus 178 (or 175, which would be the column wheel version without an hour counter), all ref. 2002 had lever chrono movements, starting with the Venus cal. 188 from 1964 to late 1966; after Venus SA was taken over by Valjoux in 1966 the same movements were then marked Valjoux R7730. From 1960 onwards these were replaced by the new "mass market" caliber Valjoux R7733. most, but not all of these later pieces are marked 2002-33. Mk2 ref. 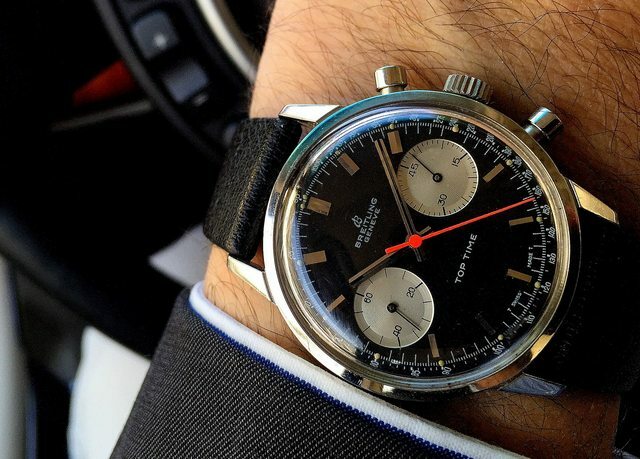 2002 have wider hands & "full" dials, while the Mk1 uses a dial insert, with tachy, decimal or pulsometer scales, only Mk2 were available as "true panda", i.e black subials on a silverwhite dial. Fred, that is great info thanks very much. Makes Top Time determination a lot easier. A question on the movements chronology, i can follow the chronology but i must be missing something as Top Time started in 1964? This seems inconsistent to me? "From 1960 onwards these were replaced by the new "mass market" caliber Valjoux R7733." the 7733 and the 7736 were introduced in 1969. Thank you all for your responses. So to put it simply 2002 Mk1 V Mk2. Mk1 has pointed hands, slimmer hour markers and crown? Slightly less minor dial depression? Only early Mk1 ( >66) has Venus movement and monocoque case. "yes, and these are only correct with the Venus cal. 178; some examples here; again "true panda" only on Mk2"
Does this only apply to 810 Mk1 as with early 2002? This shows A/ A remarkable price and B/ a Valjoux 7736 movement C/ a 1968 date. Dubious? If the 2002 is a Panda, an 810 must be a "shocked" Panda? I‘d like to see a movement shot of that Meertz 810, assume incorrect description. I'm not sure if the price seems that high. I believe we've been seeing 810s hitting upper $6-low $7 in the auctions recently. How can you tell the difference between Venus and Valjoux movement? I assume neither are marked as such? Is there a pecking order in the various dials value wise? Plain / panda / reverse panda etc. I prefer the plain silver, then the reverse but I accept it is purely a personal thing. Venus 188 and Valjoux R7730 are the same movements with different markings. all others are very different and easy to tell apart. One more question, remark, on the TT 810. I noticed that there is a difference in lug width between different 810's. Am I correct when i say the mark 1 with "rounded longer" lugs have a lug widt of 21 mm and the mark 2 with the "shorter angular lugs" have a lug width of 19 mm? Or can we make a more granular distinction? Thanks, i still get lost a bit in the 810's with the mark 1.1, mark 2, transitional models etc. So that is good know.